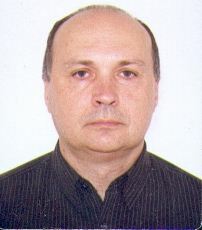 László Babinszky is a full time professor in animal nutrition. He is also invited professor at University of Pécs in Hungary. He has worked at the Agricultural University of Vienna in the Institute for Animal Breeding and Nutrition (BOKU, Austria, 1979) and in the Oscar Kellner Research Institute in Rostock (Germany, 1982). From 1984 to 1985 he has worked in the Department of Animal Nutrition of the Agricultural University in Wageningen and in the Department of Biochemistry and Animal Physiology of the Institute for Livestock Feeding and Nutrition (IVVO) in Lelystad in the Netherlands. From 1988 to 1992, he has worked in the Department of Animal Nutrition of the Agricultural University in Wageningen (the Netherlands). In 1992 he was awarded a PhD degree in animal nutrition from University of Wageningen. Dr. Babinszky has authored and co-authored over 220 publications (papers and book chapters in Hungarian, English and German). He edited several books and 14 international conference proceedings. He is member of various committees e.g. : the Scientific Committee on Animal Breeding and Nutrition of the Hungarian Academy of Sciences, Budapest; American Society of Animal Science (ASAS, USA); the editorial board of the Acta Agriculturae Scandinavica, Section A- Animal Science (Norway); KRMIVA, Journal of Animal Nutrition (Croatia), Austin Food Sciences (NJ, USA), E-Cronicon Nutrition (UK), SciTz Nutrition and Food Science (DE, USA). From 2015 he is chairman of World Conference of Innovative Animal Nutrition and Feeding (WIANF). Dr. Babinszky has graduated 6 PhD students and 25 Masters. Currently he is supervisor for three PhD students. Energy metabolism of pigs and poultry, effect of feed quality on quality of animal origin foodstuffs (e.g. meat), protein and amino acid metabolism in pigs and poultry. Effect of climate change (heat stress) on antioxidant status of livestock, precision animal nutrition, animal nutrition based on molecular genetic profile. 1. Babinszky, L., van der Meer, J.M., Boer, H., den Hartog, L.A. 1990. An in vitro method for prediction of the digestible crude protein content in pig feed. Journal of the Science of Food and Agriculture 50: 173 - 178. 2. Babinszky, L., Langhout, D.J., Verstegen, M.W.A., den Hartog, L.A., Joling, P., Nieuwland, M. 1991. Effect of vitamin E and fat source in sows' diets on immune response of suckling and weaned piglets. Journal of Animal Science 69: 1833 - 1842. 3. Babinszky, L., Langhout, D.J., Verstegen, M.W.A., den Hartog, L.A., Zandstra, T., Bakker, P.L.G., Verstegen, J.A.M. 1992. Dietary vitamin E and fat source and lactating performance of primiparous sows and their piglets. Livestock Production Science 30: 155 - 168. 4. Babinszky L 1998.: Dietary Fat And Milk Production (Chapter 8) In: The Lactating Sow, M.W.A. Verstegen, P.J. Moughan and J.W. Schrama (Eds)., Wageningen Pers. ISBN 90-74134-43-2., pp. 143-157. 5. Babinszky L., V. Halas, M.W.A. Verstegen. 2011. Impacts of climate change on animal production and quality of animal food products In: J. A. Blanco and H. Kheradmand (Eds): Climate Change, Socioeconomic Effects. InTech Open Access Publisher. ISBN 978-953-307-419-1. 165-190.p.